Paying off debt isn’t easy. I know that I’ve been there. Just a few years ago my husband, David, and I were spending money faster than we could make it. There was no way we were going to be able to pay off debt. It was a really bad situation. We found ourselves with $30,000 of car loans, a couple grand more in student loans, and we were still buying junk we didn’t need! I’ll be honest, we were terrible with money. It wasn’t until we started having trouble paying the bills that we decided to focus on our finances. That’s when we started learning how to budget our money and live a frugal lifestyle. What are your favorite frugal living tips? 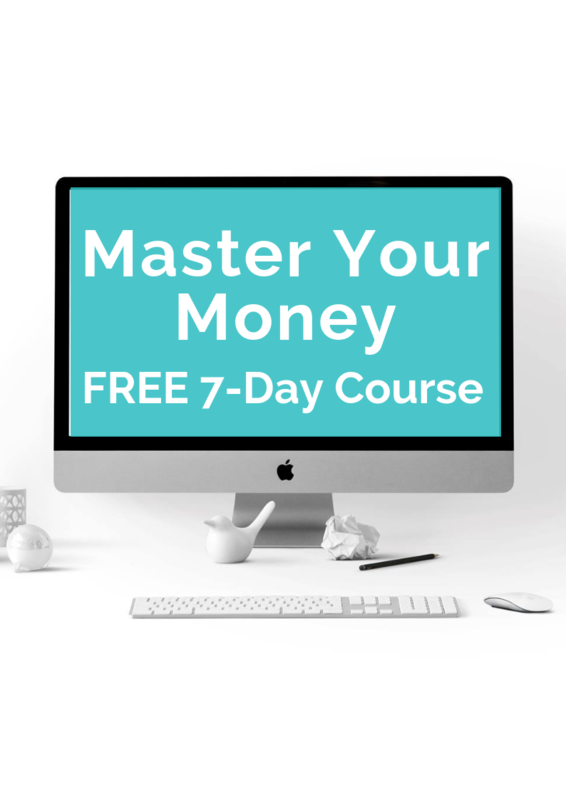 FREE Master Your Money Course! Once our eyes were finally open to the fact that we sucked with money, we knew it was time to make a change. We knew that we couldn’t continue to spend money like we were with the debt piling up. It had to stop and it had to stop fast! At the time we weren’t making a lot of money. David was an enlisted Sailor in the Navy and I was a student with a part-time job. When the decision was made to change our financial future, we started listening to podcasts for motivation, we read books about finances, and we started following people online who were really into this whole frugal living lifestyle. We jumped straight into the frugal lifestyle and with the knowledge we gained, we were able to pay off all our debt in 3 years. I’m talking over $30,000 in debt, all gone in just 3 years!! Sounds crazy, right?? Well, I’m here to tell you that it’s possible for you to do the same!! We weren’t pulling in 6 figure salaries, we didn’t inherit a bunch of money, we simply adopted a frugal lifestyle and focused on our finances. To get you started on the right path, here are 8 of our favorite frugal living tips that helped us reach our goal. This is a very simple way you can save a lot of money. David has brought his lunch to work with him every day for the last 8 years. When David worked in downtown Washington DC, his co-workers went out to lunch 5 days per week and he would eat a sandwich and fruit. Did he get sick of eating the same thing for lunch every day?? Heck yea he did but did it save us money, YES!!! We did the math to prove this is a money saver. To go out to eat for lunch, David would have had to spend approximately $10 per day or about $50 per week. Multiple that by the 48 weeks he worked in the year and you spend about $2400 on lunch throughout the year. Not far off from the average American spending close to $3,000 per year on lunch. Compare that to the sandwich lunch he brought daily. It cost roughly $1.50 per day for his lunch. Do the same math as above and you’re talking about spending $360 on lunch per year. That’s a savings of over $2000 per year on lunch! All that money could be put towards paying off debt! This worked out so well for us that he still brings his lunch to work every single day! If you want to save money, do some simple meal prep and bring your lunch to work. A company like $5 Meal Plan can make your life so much easier when it comes to saving money by meal planning. When you start living a frugal lifestyle you find out that you can be pretty handy. The internet is full of great information and can help you fix just about anything. Need to replace your car brakes, there’s a video for that. Did your washing machine stop working, there are videos for that too! If you want to save money, you have to learn how to fix things around the house. The internet has all the information you will need. We had a few car issues that really tried to derail us from reaching our goal of paying off our debt. We had an alternator go out on one vehicle. The other vehicle needed new brakes and front struts. Those fixes would have cost over $1,000 had we taken them to a shop. David was able to make all the car repairs himself for a couple hundred bucks. Yes, I got sick of him watching YouTube videos on how to make the repairs, but it saved us a ton of money! The next time you have something break on your car or around the house, see if you can fix it yourself before you call someone. One of our favorite ways to save money, and still is today, was by ditching our cable company. We were paying over $120 per month to essentially watch commercials. Let’s be real, there are about 30 minutes of commercials for every 1-hour program on TV. I’m not paying to watch commercials. Cutting the cable cord has been one of the best things we’ve done for our lives. Not only did it save us money, but instead of spending hours sitting in front of a TV, we spend time in the yard playing with the kids or exploring the city. Frugal living is more than just living below your means and saving a ton of money. For us, it’s a lifestyle that allows us to do the things we love with the people we love. We’re all about creating memories and that just wasn’t happening in front of the TV. If you want to save a good chunk of money every month and start creating new memories, try canceling your TV service provider. If you really can’t live without some form of TV you can always try Netflix or Hulu. Sick of paying a ridiculous amount of money for your cable and internet each month? Sign up for a FREE Trim account and have them slash your bills saving you hundreds of dollars a year. No matter where you live, at some point during the year you’re probably going to turn on the heat or air conditioning. We live in Minnesota now so we spend a good portion of the year with the heat on. Back when we lived in DC we spent more time with the air conditioning running. One thing that we learned is that minor adjustments to your thermostat settings can really help you save money each month. We adjusted our thermostat by 2 degrees in the summer and noticed a decent size saving in on our energy bill the following month. If you’re looking to save a lot of money on your energy bill, try living without running the AC in the summer. It might get hot but you’ll be saving money!! I don’t recommend going without heat in the winter if you live anywhere up north, but you can try waiting a little longer in the fall to turn it on. When you start your journey into frugal living and saving money, start by looking at your grocery bill. The grocery store is a great place to find big savings each month. We’ve found so many great ways to save money at the grocery store over the years. Any time we make adjustments to our monthly budget to try and save more money, we start by looking at how much we’re spending on groceries. This is an easy area to find money to save. We fell in love with a little grocery store called Aldi! We had one near our house in DC and one about a mile from our house in Minnesota. It’s a great grocery store for finding savings on food each month. Aldi has a good selection of food that generally comes at a lower price than other grocery stores. Aldi is a world-wide chain so check your area and see if you have one nearby. If there isn’t one close, make sure you start looking for coupons to your local grocery stores. Coupons are another great way to save money on food each month. If you want to start earning cash back on your grocery spending each month check out Ibotta. By using our exclusive link you will earn your first $10 absolutely FREE. Let’s face it, we all buy way too many clothes. Seriously, I have a closet full of clothes and many of them I haven’t worn in a year! When we decided to dive really deep into frugal living we chose to stop buying new clothes. We decided to live with what we had and only buy the necessities. You’d be surprised by how much you can save when you’re not buying a new pair of shoes or a new shirt every month. This is another habit that we have kept going. I don’t remember the last time we went clothes shopping for ourselves. The kids, on the other hand, they’re growing like weeds so we have to buy them clothes. There are a lot of different ways to save money on kids clothes. Some of our favorite ways to save money on kids clothing is to shop at consignment stores like Once Upon A Child or shop online for used clothing. Kids grow so fast that if you buy them a new outfit, they outgrow it before they wear it more than a couple times. Our last tip for you to embrace your new frugal lifestyle is to stop going out to eat. I’m being serious, going out to eat costs a lot of money! If you want to save money, you have to stop eating out. I think we went out to eat 2 times in those 3 years it took us to pay off the debt. If we wanted good food, we made it at home. You’ll be surprised by how much money you can save when you stop going out to restaurants. Those $40 meals add up really quick. Stop spending your money at restaurants and let it grow in your bank account! As you can see from this list, there are a TON of ways to better make your money work for you — the thing Dave Ramsey advises the most. Any of these tips can be as small or as involved of an effort as you want them to be. Just remember that the more effort you put into your financial journey, the better the results that will come out. There you have it, those were 8 frugal living tips that helped us pay off $30,000 worth of debt in 3 years!! I know saving money isn’t easy, but with these tips, you’ll have some tools to get you started! If you really want to pay off debt fast you’re going to have to be ready to sacrifice a little and you’re going to need the motivation to keep going when it gets tough. If you’re in debt and struggling to pay the bills every month, you need to adopt a frugal living lifestyle. Start living below your means, save your money and pay off your debt. A little sacrifice now is well worth the feeling of being financially free later in life!!! Cassie is the blogger over at Living Low Key. 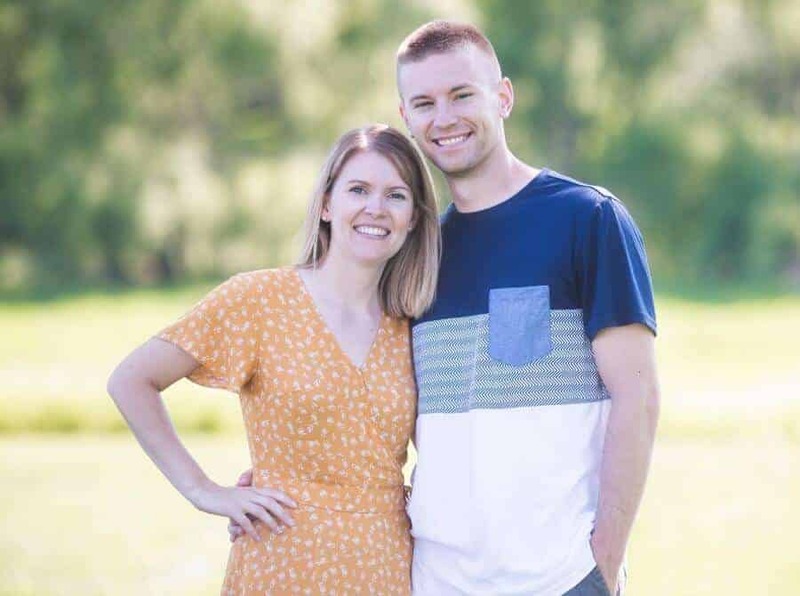 Cassie and her husband have a pretty amazing story of how frugal living and taking control of their finances changed their lives and helped them pay off over $30,000 in debt in just 3 years. You don’t want to miss these 8 frugal living tips so check them out!! Head over and join The Savvy Couple Community on Facebook to share your frugal living tips with others. We have a close-knit family that loves talking about making and saving more money. We are always looking for new faces to bring new ideas to our community. See you there! Learn how to stop living paycheck to paycheck and start building wealth! Success! Go check your email to get a head start on the master your money email course. I agree that adjusting the thermostat is another great way to slash the power bill. We do that and at home we dress almost as warmly as if we’re outdoors. Taking these steps and joining a power company that gives the best value have lowered our bill by about 37 percent – a saving of $240 a year. Eating out is convenient but as you say, it does cost a lot. Eating out only once in a while, as a treat, also makes one appreciate the occasion and the food more. Hey Jo so glad you liked the article. Thanks for your awesome comments! I’m glad you liked the Tips!! It was a great feeling once the debt was paid off! Being handy around the house was and continues to be our biggest money saver. Thanks for reading the post! The big one for us is eating out. For a family of four, we usually eat out on the weekends plus weekdays here and there. Last summer I discovered my cooking talent and started cooking at home with the help of my wonderful friend “Youtube. Instead of eating out we will find ourselves at the grocery stores looking for the best deals on meats and other grocery items. Kids and the wife love the cooking, and I love the saving. A win-win for the whole family. Awesome! It’s crazy the amount of money you can save by shopping and preparing yourself. What is your favorite dish to make? Love to make pasta dishes. My whole family loves seafood too and I have been discovering unique ways to prepare them as well. It’s a great money saving meal almost everytime! Going out to eat can really be a budget killer! That’s awesome that you taught yourself to cook! It’s something that helps save money and brings the family together for a nice meal. One of the biggest ways we have been able to save more money was stopping our eating out habit. With the internet, we were able to learn how to make delicious meals at home including pizza. Boom! Totally agree. We enjoy the occasional trip out to eat (with a gift card & coupon of course) hahaha. Seriously though some people have no idea how much they spend on eating out alone.